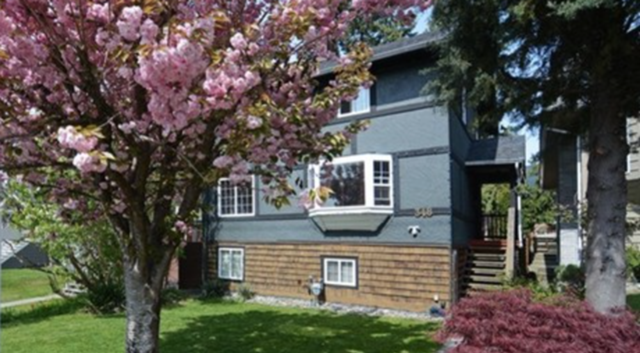 Great family home with character in Central Lonsdale. This is a quiet street with mature landscaping elements & Greenwood Park just around the corner. Inside you canrelax on your bay window in your living room with the stone fireplace in the background or take advantage of the newer sundeck overlooking your fenced backyard. Rustic hardwood floors throughout and an updated kitchen and cozy dining area complete the package on the main level. 3 bedrooms upstairs with lots of character and a generous sized bathroom. There is also a separate entry 2 bedroom basement suite.